When I think about Mexican food, freshly-made guacamole, chicken and fish tacos, enchiladas, chilaquiles, tostadas, mole, and other mouth-watering dishes and flavors come to mind. So, when I was invited to visit Temerario to enjoy Mexican cuisine in New York City, I couldn’t pass up a foodie adventure. Temerario, located in the Chelsea neighborhood of New York, has an easygoing and playful vibe. 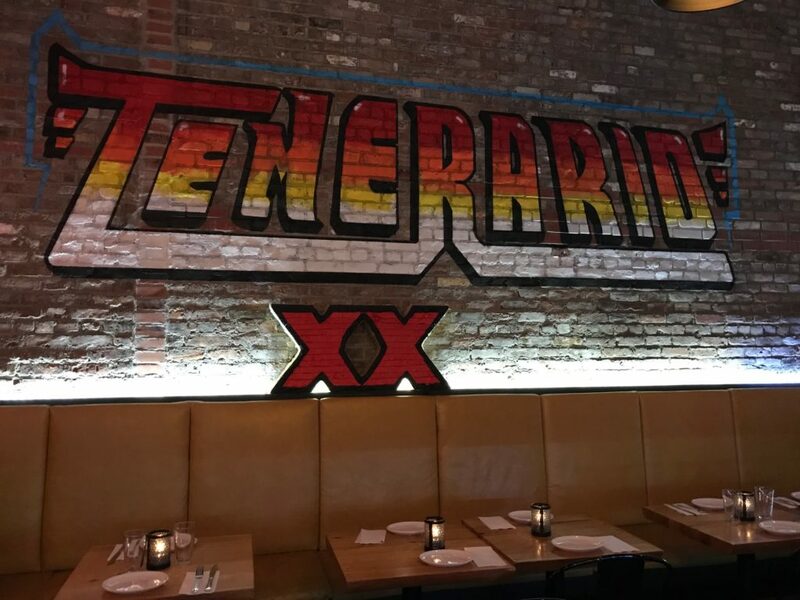 It’s not the only Mexican spot in the neighborhood, but what sets Temerario apart is its own twist on the street food that Temerario’s chef grew up eating. There’s nothing pretentious about Temerario. As you walk in, you’re greeted by bright-colored accents and art on its walls, mismatched chairs, and an overall eclectic artsy interior. On the day we visited, we opted to sit outdoors, as it wasn’t hot or humid. By sitting outside you also get the added fun of people-watching in New York City, and playing a game of spotting locals vs. tourists, and wondering where people are off to next. At the table a little further away from us was another type of a local – a cute and well-behaved dog who kept his owners company. We took our time in browsing the menu, but quickly ordered two margaritas – one traditional and the other, a smokey jalapeño. The smokey jalapeño margarita had a nice kick to it, but wasn’t overly spicy. The traditional margarita was refreshing and simple in flavor, as a margarita should be. While sipping our margaritas, we started to get hungry and were craving guacamole. Guacamole is always an easy decision for me. What’s not to love about the creaminess of avocado mixed with lime, tomatoes, onions, and other goodness? This wasn’t just any guacamole, though. In keeping with its playful approach to street food and appreciation for tradition, Temerario’s guacamole had an ingredient that set it apart. We ordered the Guacamole Rojo with tomato, cilantro, chipotle chicharron, queso fresco, agave worm salt, and tostones. Did you catch the “unusual” ingredient? While it may seem odd to think about eating insects, it’s hardly unusual in parts of Mexico. From reading more about it, agave worm salt starts with the worm on the bottom of a bottle of mezcal or tequila (mezcal and tequila are not one and the same; tequila can only be produced with blue agave). The worm salt is made by toasting or grinding up the worm with rock salt and dried chili peppers. Another delicious ingredient present in many Mexican dishes is cheese. Growing up in The Netherlands, cheese was a big part of the culture. Nowadays, I certainly don’t shy away from cheese in all its forms: cubed, sliced, melted on a gooey grilled cheese, generously spread over a delicious pasta, aged, or otherwise. So, our next dish was no surprise, and a true “cheese lover’s” delight: Queso Fundido. This three-cheese fondue with salsa verde and tortillas was not only full of gooey goodness, but wasn’t too heavy as sometimes cheese dishes can be. Our final dish for the evening were the swordfish tacos. The chipotle aioli mixed in with the crunchy swordfish and pickled cabbage was not only delicious, but again, very light. Even on a less-than-hot day, summers in New York can play with your appetite, and you crave something light. Temerario’s menu that encourages sharing is great for a summer day. The next time you’re walking around Chelsea and in the mood for Mexican food, I urge you to try Temerario. Temerario isn’t a typical Mexican restaurant. It’s Mexican street food with a playful twist served along refreshing drinks in a fun atmosphere. Visit Temerario’s website to learn more. Where’s a favorite spot you’ve had Mexican food in New York City, or elsewhere? Share in the comments! 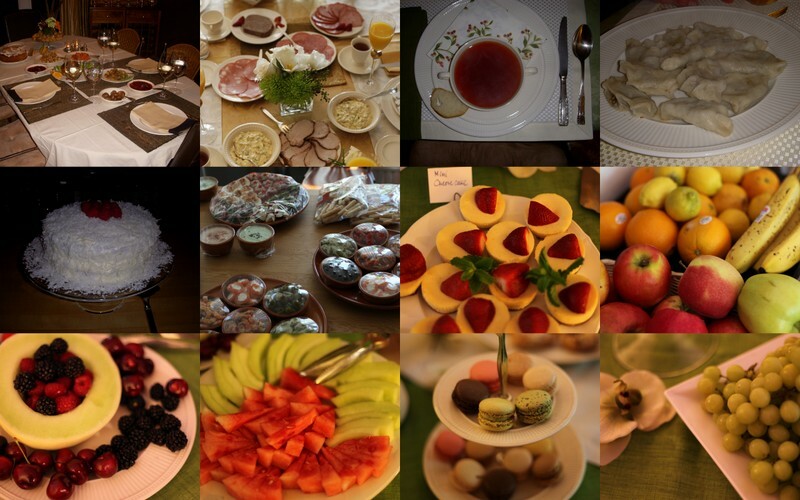 Previous Posts Hong Kong: Why Visit This Food Capital?